Over at Colorlines, I wrote about an exciting new initiative led by two Native midwives, Nicolle Gonzales and Brittany Simplicio, to open a Native-run birth center for Native women in the New Mexico region. Gonzales is among only 14 other Native American CNMs in the United States. She and Brittany Simplicio, another midwife who is Navajo/Zuni, began raising money for a nonprofit that will run the center, Changing Woman Initiative (CWI), last year. Indigenous women face incredible health disparities and barriers to supportive and humanizing care during pregnancy and birth. I was really surprised to learn that 70% of births at Indian Health Services (the agency run by the federal government that provides most care to Native people in the US) are attended by CNMs. But very few of those midwives are Native themselves. Gonzales says she’s one of 14 Native American CNMs in the entire US. It’s one major issue with the midwifery and birth center movement–just bringing the midwifery model of care isn’t enough. You also need to bring culturally appropriate care along with it, and sometimes the best way to do that is with midwives who are from the community they are serving. Gonzales’ project is being supported by the National Association of Birth Centers of Color, and I hope we see more initiatives like this in the future. You can support their work by donating to their online fundraiser! And read the full article here. 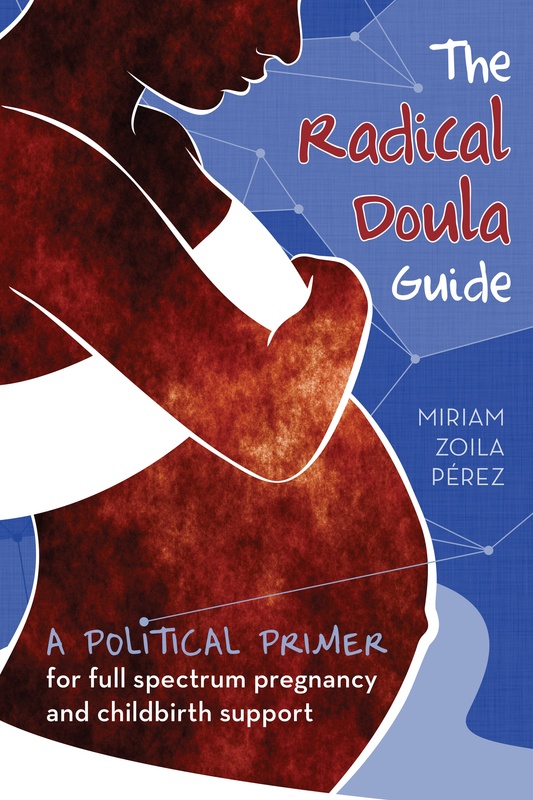 I think it’s really important for doulas, and activists, and birth workers to understand the social and political context of pregnancy and birth in the US. Clearly, I think it’s so important that I wrote a book about it. A big piece of this history is understanding how the fertility of women of color, and low-income women, and immigrants, and those who are mentally-ill or incarcerated has been manipulated by government institutions, including hospitals. I recently interviewed the director of a new documentary about one of these instances, where Latina immigrant women in a teaching hospital in Los Angeles were sterilized after c-sections without their full and proper consent. It’s a really heart-wrenching story, but also one of resilience and successful pushback–laws mandating informed consent for tubal ligations arose as a direct result of this situation. You can read the full interview with the director over at Colorlines. It’s a problem we all know about, and one that just keeps getting worse. A new shadow report, written for the United Nations International Convention on the Elimination of Racial Discrimination, examines the ongoing crisis of maternal mortality for African-American women, which I wrote about in my latest article for Colorlines. It’s so upsetting to see this crisis worsen, and wonder whether there is any political will to really address it. The report also includes anecdotal evidence from two focus groups conducted in Mississippi and Georgia by Sistersong, where black women shared their experiences with health care. Unsurprisingly, there were many accounts of racism, miseducation and disrespect experienced. I didn’t include this in the article, but Monica Raye Simpson, Executive Director of Sistersong, told me that doulas and midwives were brought up in both focus groups. While we may not be able to solve maternal mortality on our own, we may be able to improve individual women’s health care experiences by providing support and resources. The report also addressed lack of access to health care because of immigration status for Latina women living in South Texas. My only hope is that the more we raise the alarm about this problem, the more likely we are to see steps taken to address it. Read the full article here, and the full report here. My latest article for Colorlines is about the new efforts to criminalize pregnant women for substance abuse. Sadly these kinds of efforts are not new, nor are they actually helping moms or kids. There is no evidence that incarcerating women who use drugs during pregnancy will do anything to improve their health, or their children’s health. In fact, these criminalizations actually worsen the health of the newborn, and make access to appropriate drug treatment for the mom unlikely. Mallory Loyola, the woman charged under the Tennessee law, was in jail for at least three days before being released on bond, just two days after giving birth, during which her child was in custody of Child Protective Services. Kylee Sunderlin of the National Advocates for Pregnant Women (NAPW), an organization that works closely with women charged under these types of laws, explained that when a baby is diagnosed with what’s called Neonatal Abstinence Syndrome—or, the constellation of symptoms that reflects substance exposure inutero—established treatments for it include skin to skin contact with the mother and breastfeeding. That treatment is next to impossible if the mother is incarcerated and her child is in state custody.